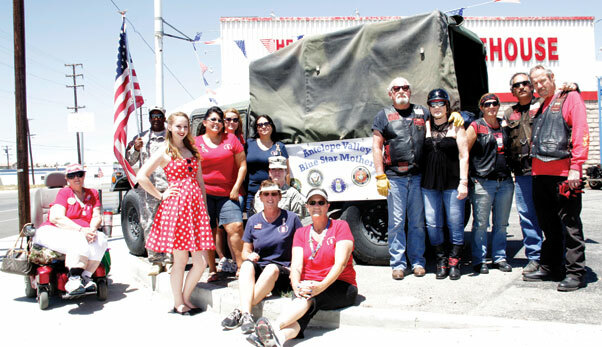 Members of the Blue Star Mothers, the National Guard and Vietnam Veteran Legacy motor cycle club participate in a “Stuff the Hummer.” Donations for troops included batteries, baby wipes, dental floss and a favorite- beef jerky. A shipping party will take place at the Armory July 18. Volunteers are welcome. Blue Star Mothers and members of the community came together recently to stuff a Humvee full of goodies including toiletries, batteries and snacks for troops who are serving in all branches of the military. To prepare and sort the packages for shipping, a packing party will be held 10 a.m., July 18 at the Lancaster Armory near 45th Street West and Avenue G.
Papa John and other members of the Vietnam Veteran Legacy motor cycle club stopped by and gave a very generous cash donation to help with shipping costs. The Humvee was donated by the National Guard and Mattress Warehouse gladly loaned their parking lot for the cause. Sylvia Gaxiola, president of Antelope Valley Chapter 14 of the Blue Star Mothers said her husband, Luis, served in the Gulf War and her son, Christopher, served nine years in the Navy. Sgt. Marcel Contreras of the Army National Guard 756th Transportation Company said when he was serving overseas, a package or letter was greatly appreciated. 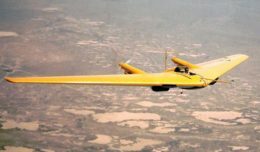 “I remember getting a letter from a seven year old. He didn’t know me but it made me feel appreciated to know someone back home was thinking about us,” said Contreras. To have a package sent to an active duty service member, please email their information to avbluestarmother@yahoo.com. For more information on the packing party or supporting troops call Sylvia at 661-212-7607.